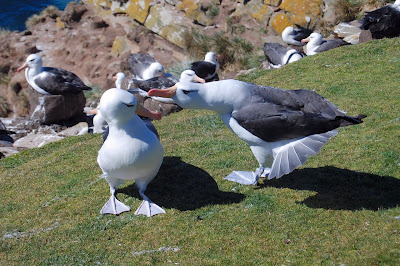 Southern Cone Travel: Black-Browed Albatross Stages Comeback; Plus, Five-Star Falklands? Black-Browed Albatross Stages Comeback; Plus, Five-Star Falklands? 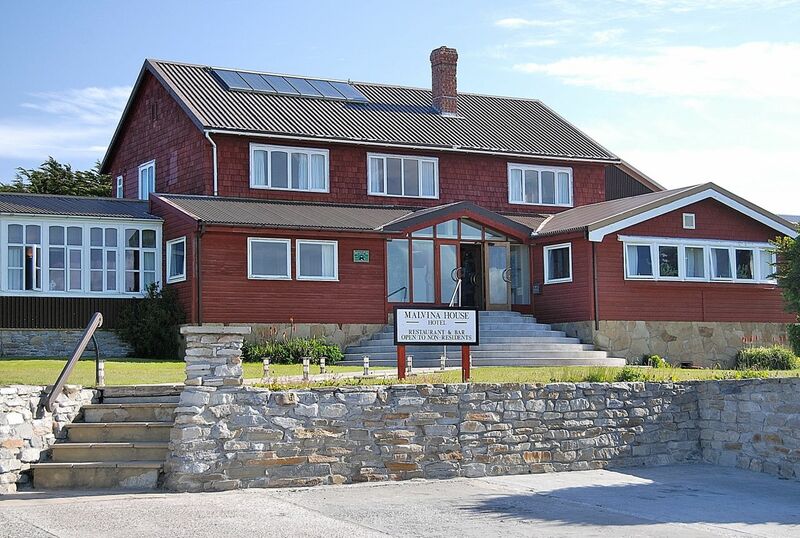 In the course of more than a year in the Falkland Islands, from January 1986 through February 1987, I grew to adore the place. Just four years earlier, it had been the site of brief but contentious conflict when Argentina’s vicious military dictatorship invaded and occupied them on the basis of an ambiguous 19th-century territorial claim, and held them for 74 days before being dislodged by a British task force. During those ten weeks, the territory changed from a state without police – local cops did not even carry firearms – to a police state that threatened them and their property. My own stay, funded by a Fulbright-Hays Doctoral Dissertation Research Abroad fellowship, gave me plenty of time to get to know the islands, which were much more than just a war zone – they are also a great biosphere reserve and home to a local population who made us feel at home – in fact, several of them even shared their homes with us, despite my wife’s suspect Argentine nationality (she traveled there on her US passport, as Argentines passports were then unacceptable to local authorities). Over our 13 months, we enjoyed observing enormous amounts of wildlife in what felt like a sub-Antarctic Galápagos, at least in the sense that the countless birds and numerous marine mammals were virtually fearless – it was easy to approach penguins and other birds, not to mention marine mammals such as southern elephant seals, for photographs. I now have thousands of photos of Falklands fauna, many of them taken on succeeding trips as I have updated my Moon Handbook to Patagonia. The difference, of course, is that the Galápagos’ species diversity is far greater; the Falklands have fewer species, but greater numbers of individuals in sprawling shoreline colonies. Five different species of penguins breed in the Islands, with occasional visitors as well, but they’re not my favorite birds here. Rather, I prefer the black-browed albatross (pictured above), with its almost porcelain beauty, which is easiest to see and approach on Saunders Island, one of the archipelago’s largest islands after East and West Falkland. At The Rookery, near the sandy isthmus called The Neck that virtually separates Saunders in two, these curious birds warily waddle up to visitors who take a seat nearby. That’s why I was encouraged to read that the species, which Falklanders call the “mollymawk,” is recovering from a population decline that had placed it on the IUCN endangered species list because long-line fishing had contributed to high mortality rates. Seventy percent of the species breeds in the islands, though there are also substantial numbers on South Georgia (which, unfortunately, I have never been able to visit). According to local conservationist Sally Poncet, whom I know fairly well, South Georgia mollymawk numbers have not recovered in the way Falklands populations have. 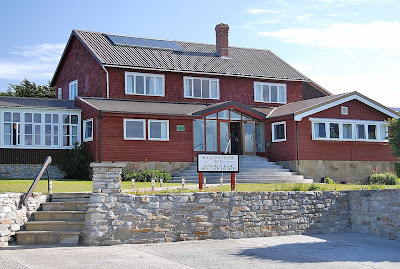 Meanwhile, the new director of Falkland Islands Tourism, Tony Mason (whom I have never met, as he only recently took over the job) has suggested that the Islands are ready for their first five-star hotel. 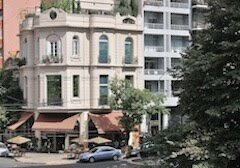 At the moment, accommodations in the capital of Stanley consist mostly of cozy B&Bs plus the Malvina House Hotel (pictured below), which would be good accommodations almost anywhere. Nearly all the Islands’ tourism is cruise-ship based and, when things get crowded in town, beds can be hard to come by (on a handful of occasions when high seas and winds have made it impossible for cruise passengers to return to their vessels, local authorities have had to appeal to residents to open their spare rooms to the temporarily stranded). The question is whether a country whose total population is barely 3,000 (of whom roughly 2,000 reside in the capital) can justify the construction and operation of a facility that will sit virtually empty about half the year (the wildlife season runs from September to March or April). Given the limited and precarious overseas communications (weekly flights from Chile, depending on a capricious Argentine foreign policy, and two or three charters a month from the Brize Norton, Oxfordshire), devoting limited resources to such a project would seem debatable. Even the most well-to-do sightseers and wildlife-watchers would probably only stay there at the beginning and the end of their visits. Maintaining that level of service in a destination with a limited labor force would appear to be a real challenge.